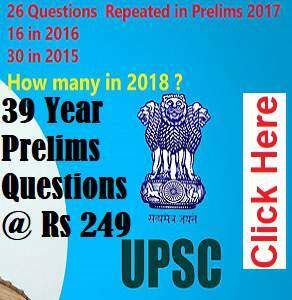 UPSC Civil Services Exam (CSE) Prelims is not only a screening test to select eligible candidates for various Civil Services like IAS, IPS, IRS etc. but it is also a common exam to screen candidates for Indian Forest Services (IFS) main exam. But to get an IFS call, candidates need to score higher marks than one need to get a call for Civil Services Mains. This is probably due to less number of vacancies for Indian Forest Service (IFS, sometimes also abbreviated as IFoS). IFS had only 110 vacancies this year, while the total vacancies for all the 24 Civil Services like IAS, IRS, IPS etc is expected to be around 1200 this year. How did I score 130+ marks in the UPSC CSE Preliminary Exam? Hello. First of all some details about me. My name is Parveen Kaswan. I did my B.Tech in Aerospace Engineering and Masters from IISc Bangalore in Product and Engineering Designs. I never went for any coaching. I am currently working in the Indian Forest Service. I used to score well in the IAS/IFS Preliminary exams. In 2015 Preliminary exam my score was 120+ while in 2016 Preliminary exam I expect 130+. These scores are reasonably well above the cut-off scores for each year. Note: The people who are targeting IFS should prepare a little bit more, as the Prelims cut off is high for Indian Forestry Service than CSE. I would stress on three things – (1) Study materials which include NCERT books (2) Mock Tests and (3) Newspaper. Now let me discuss my strategies to cover each of the subjects mentioned in UPSC CSE syllabus. For Ancient and Medieval history I went through NCERTs only. For Modern History, I went through NCERT, Bipin Chandra, and Spectrum book. For World History, I read Norman Lowe book. For after independence part, I went through the NCERT and India after Gandhi (But I will not recommend this book as this is very big). I went through the CCRT site, Spectrum book on Culture and also Nitin Singhania’s notes. NCERTs and Polity by Laxmikant is a must read. Even you need to go through many times. I read ‘Introduction to the Constitution of India’ by DD Basu once (but will not recommend this because it is very deep. I may say that that much depth is not required at all). The habit of reading bare Articles of Constitution is also good. Because it will provide you fodder and good understanding also. I covered both World Geography and Indian Geography first. It was only then I tried learning Physical Geography and Human Geography. Geography of India by Majid Husain is a good text (You can read Khullar also). Even Spectrum has also one book under this title. You can follow anyone, the reason being they are covering the same thing. Clear your concepts of Physical Geography from any good book. Certificate Physical and Human Geography by Goh Cheng Leong is a good book to clear our concepts about Physical Geography. Even the internet can also be used to understand these concepts. Atlas should also be covered as UPSC may ask some map question too. But as most of these are usually from Current Affairs perspective, while reading newspaper or current affairs materials you can check additional information about various regions. Indian Economy by Ramesh Singh can be used to get an idea about various economic concepts and terms. In my opinion, for the economy section – the most important thing to do is to follow economy related current affairs. Keep reading the Budget, Economic Survey, Yojana, Kurukshetra etc. If anything important comes in the news, then you should utilize the internet to search and read about them. For Environment, I read Shankar IAS environment book, which is a good book. Blogs like ‘Down to Earth’ and Current Affairs related with Conferences, Conservation of Wildlife, Red list of endangered species etc are very important from this area. For Science and Technology, you may follow technology from the current affairs only. Having discussed the study materials, let me tell you the importance of mock exams for Preliminary and Mains. To evaluate your learning part, every candidate should take mock exams during the preparation period. This would also help you cover the priority areas, as the syllabus is very vast. Taking mock exams will help you identify your mistakes. If you take mock tests with timer enabled that will help in proper time management. 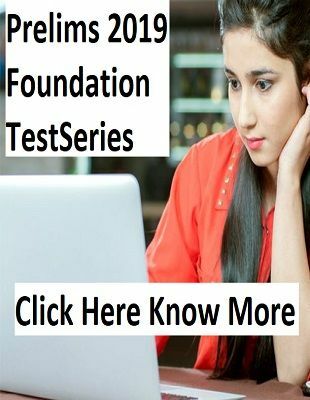 I have practiced and revised almost all mock exams provided by ClearIAS. This includes – full-topic tests, subject-specific tests, and previous year questions re-take exams provided in the ClearIAS Mock Exam Platform. I regularly read a newspaper – Indian Express. The choice of newspaper is totally a personal one. You may read any newspaper you like and it helps. Static and Dynamic Parts in the Syllabus: How to connect concepts and issues? We can divide syllabus between Static and Dynamic. Static part includes subjects like History, Polity, Geography, Economic concepts etc. The static part should be covered first because it will make your base. After that, you should concentrate on current affairs. In recent years, in both Prelims and Mains, special emphasis is on current affairs. So develop a habit of connecting the issues with concepts. For example, you might haved read about Money bill and Finance Bill from Laxmikanth’s Indian Polity. Then, say for example, if you notice any current affairs discussion going on about using Money bill provisions to bypass Rajya Sabha. This moment, you should be connecting various things – like – what is article 110, what is the role of Speaker of Lok Sabha in this context, what is the power of Lok Sabha vis-a-vis Rajya Sabha in the case of Money Bill, how is the issue handled by Judiciary etc. The point I am making here is that we should read current affairs keeping in a larger perspective and connecting various dots which will clear our concepts. Same is true for all other subjects. If you read in the newspaper that the Meteorological agency has predicted El-Nino, then you should search for what is El-Nino, reasons behind El-Nino, its effects worldwide, effects on monsoon, effects on Indian Agriculture etc. Making notes will also help here. I had a habit of making notes from newspaper and the internet. I kept them enriching whenever I see new things happening related to the topic. These are not last words on anything. Choose your own strategy because it will make you more comfortable with the study. Choose the optional in which you can score good marks, which you found interesting and easy to grasp as this is a competition after all. Have a good command over Current Affairs and while reading them try to connect the dots. Since Mains exam is also about current affairs. They don’t ask direct questions these days. But to substantiate you need materials like Judicial Pronouncements, various Schemes, Government policies, Examples from various fields, Statistics, Acts, and Articles etc. Now, you aim should be to score high in the Prelims exam. Check previous years question papers and other mock exams conducted by various coaching institutes. In my opinion, you can not afford to loose marks in static part of the paper. Because anybody who is a serious contender will have a good hold over these topics, for example in Polity or Geography. If you will loose marks in these topics it is a double disaster. Losing marks in unpredictable part can be excused because many will not be knowing them or many will make mistakes in them. So if you are not doing good in the mocks in these static or predictable topics you need to work hard on it. Sometimes coaching institutes make hard mock papers on current affairs so don’t loose hope if you are not scoring good in them. Have a good hold over the static part and then start connecting it with the dynamic part. This will boost your knowledge about various topics and will be easy to memorize. Article by Parveen Kaswan. The author is an IFS Officer and IISc Bangalore Alumnus.